See fascinating videos of last year’s winners. The idea of a cell that can reproduce the photosynthetic process came about over ten years ago, but initially required expensive and rare metals and materials that would price out the commercial consumer. But Nocera’s model uses inexpensive nickel and cobalt catalysts. These catalysts effectively and efficiently split hydrogen and oxygen at a production rate of about ten times that of one of Mother Nature’s leaves. Using a simple mixture of sunlight and one gallon of water, the “leaf” which is the size of a playing card, is made of silicon, electronics and the aforementioned catalysts, which speed up the process. 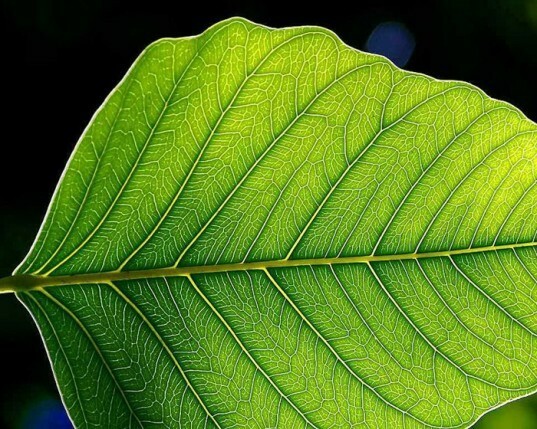 Rather than producing energy directly like a photovoltaic cell, the “leaf” splits the hydrogen and oxygen atoms, which then produce electricity for personal and household use. The prototype can produce energy continuously for 45 hours without any fluctuations. Nocera’s leaf could mean big things for household energy everywhere. Poor and developing countries could source affordable electricity for their homes in small and remote villages without the construction of power lines and the like. In light of the ever increasing oil prices, Nocera’s renewable energy “leaf” would function practically as a furnace, providing low-cost energy as a common household device. In fact, the “leaf” has been funded in part by the Department of Energy’s ARPA-E transformational energy program- via our tax dollars. Nocera’s “leaf” is ready for commercial production and distribution. Hopefully one day soon, each home will find it as common as a hot water heater! Cambridge, Massachusetts has come up with a creative way to support its increasingly bike-loving populace and to encourage people to opt for green transport. The city has installed three bicycle repair stations around town. Cyclists can drop by the spots in Harvard Square and make minor repairs or inflate their tires. Cambridge’s transportation manager says the city was inspired by MIT, which already had bike repair stations. See full Geekosystem article. . The world’s fourth-largest economy stands alone among leading industrialized nations in its decision to stop using nuclear energy because of its inherent risks. It is betting billions on expanding the use of renewable energy to meet power demands instead. See the full World news – Europe – msnbc.com article. Scientists with the U.S. Department of Energy (DOE) Lawrence Berkeley National Laboratory (Berkeley Lab) have designed a new composite material for hydrogen storage consisting of nanoparticles of magnesium metal sprinkled through a matrix of polymethyl methacrylate, a polymer related to Plexiglas. This pliable nanocomposite rapidly absorbs and releases hydrogen at modest temperatures without oxidizing the metal after cycling—a major breakthrough in materials design for hydrogen storage, batteries and fuel cells. See full Berkeley Lab News Center article. Want to start a community or neighborhood garden? Maui Community Garden Initiative (MCGI) is a nonprofit organization formed to proactively engage Maui communities in growing food. Through strategic collaborations and public advocacy, they provide educational and technical support for cultivating and sustaining community based gardens. Two of the principles, Nio Kindla and Kirk Surrey, are very active with the Kihei Elementary School garden. Vog is primarily a mixture of sulfur dioxide (SO2) gas and sulfate (SO4) aerosol. SO2 (invisible) reacts with oxygen and moisture in the air to produce SO4 aerosol (visible). SO2 is expected to be the main problem in areas near the vent on the big island of Hawai’i. Here are some online resources with information about vog and vog contitions. A map of current emissions over Hawai’ian island chain. A map of current emissions over the Island of Hawai’i. A chart of current vog conditions. U.S. Geological Survey Hawai’ian Volcano Observatory. Frequently asked questions (FAQ) about vog and volcanic ash. Images and chronology of events at the Kīlauea volcano.